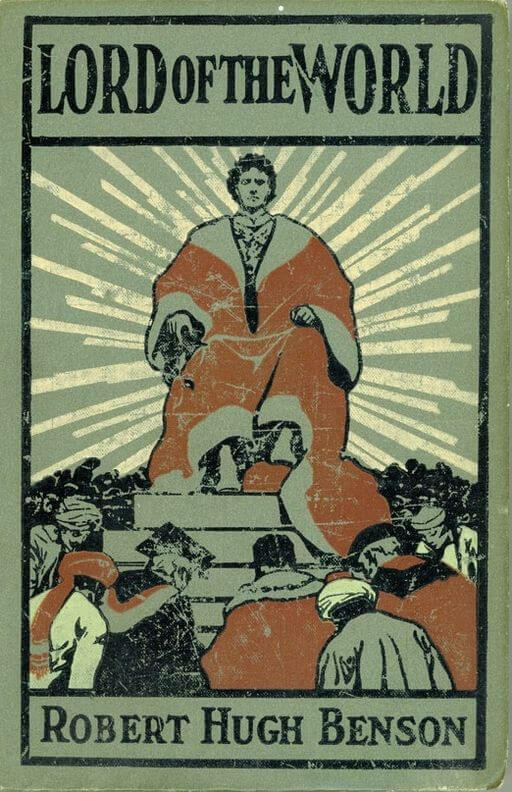 Lord of the World (1907) is an early Dystopian novel about the reign of the Anti-Christ and end of the World. After its publication, Priest Benson received hate mail and traitorous accusations by his former Anglican colleagues (he left the Church of England and converted to the Roman Catholic Church a decade earlier.) This religious controversy heightened interest in the novel and speculation about the future of spiritual doctrine. "I am perfectly aware that this is a terribly sensational book, and open to innumerable criticisms on that account, as well as on many others. But I did not know how else to express the principles I desired (and which I passionately believe to be true) except by producing their lines to a sensational point. I have tried, however, not to scream unduly loud, and to retain, so far as possible, reverence and consideration for the opinions of other people. Whether I have succeeded in that attempt is quite another matter." Return to the Robert Hugh Benson library.